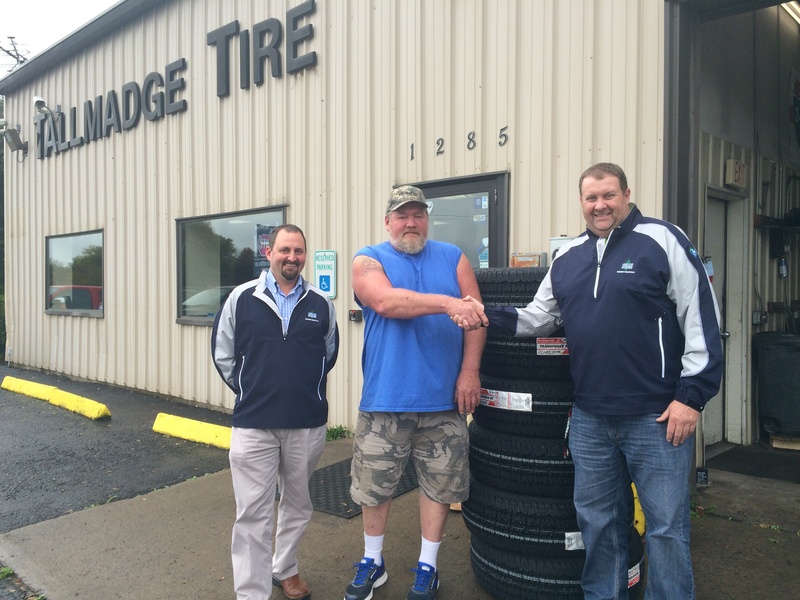 Seneca Meadows, Inc. today announced that Robert Hummer of Waterloo is the winner of the company’s recycled tire count contest. Hummer submitted the closest guess [19,100,000] to the actual number of tires recycled [19,081,621] at Seneca Meadows between 1997 and August of 2017, and received a new set of Cooper Mastercraft Courser AXT tires from Tallmadge Tire for his Chevy pick-up truck. Recycling waste tires benefits the environment by reducing mosquito breeding grounds, preventing the pollution caused by tire fires, and conserving natural resources. The Seneca Meadows Tire Recycling Facility processes 1 to 2 million car and light truck tires per year for use as a drainage material in the company’s liner and landfill gas extraction systems. To learn more, visit www.senecameadows.com.